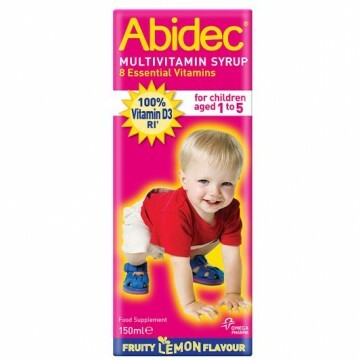 Abidec multivitamin syrup has been specially formulated to prevent vitamin deficiencies and promote normal growth and health in children aged 1-5. Contains 8 essential vitamins for children age 1-5 years old. Contains 100% of the recommended daily allowances of vitamin D.
Provides children with 100% of the RDAs of 6 essential vitamins with the addition of vitamin E and C.